Ethical Hacking tutorial provides basic and advanced concepts of Ethical Hacking. Our Ethical Hacking tutorial is developed for beginners and professionals. Ethical hacking tutorial covers all the aspects associated with hacking. Firstly, we will learn how to install the needed software. After this, we will learn the 4 type of penetration testing section which is network hacking, gaining access, post exploitation, website hacking. In network hacking section, we will learn how networks work, how to crack Wi-Fi keys and gain access the Wi-Fi networks. In Gaining access section, we will learn how to gain access to the servers and personal computers. In the post-exploitation section, we will learn what can we do with the access that we gained in the previous section. So we learn how to interact with the file system, how to execute a system command, how to open the webcam. In the website hacking section, we will learn how the website works, how to gather comprehensive information about website. In the end, we will learn how to secure our system from the discussed attacks. There is nothing specific prerequisite for learning computer network. Our Ethical Hacking Tutorial is designed to help beginners and professionals. 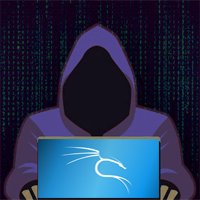 We assure that you will not find any problem in this Ethical Hacking Tutorial. But if there is any mistake, please post the problem in contact form.